Shopping for health insurance can be as complicated as shopping for a car. You have to consider the different types of insurance available and the many features they have before you make the purchase. Most people have a general idea of what they want when shopping for health insurance, however, there are a few things that are sometimes overlooked. Each policy has its own set of exclusions. The services you are seeking may not be covered under the plan, so when reviewing the policy be sure to carefully review the covered benefits as well as the benefits not covered. Another service that may not be allowable under the plan, is seeing a doctor outside of the network. Some plans restrict you from out-of-network providers and will not cover medical services rendered by an out-of-network provider. Do some homework, health insurance companies provide a list of providers that you can use in-network to avoid, getting a surprise bill. Prescription drug cost is sometimes applied to the deductible. This means if you have a high deductible plan, your prescription drugs, might not get covered until you reach that high deductible. When shopping for a plan, ask are prescription drugs applied to the deductible, so you can plan accordingly. Educate yourself of the many models that exist in the healthcare industry: HMO, PPO. POS, EPO, HDP, all mean something different. When shopping, be sure to compare each model, to find the one that addresses your needs. If your income falls below 138 percent of the federal poverty level, you have options. One consideration to be kept in view while applying for health insurance is whether the plan is an HMO or a PPO plan. Both types of plans have their advantages and drawbacks. You should the plan that works well for your unique healthcare needs. The difference between HMO and PPO is that HMO or Health Maintenance Organization allows you to go to one primary physician who will refer you to a specialist if required, while a PPO or Preferred Provider Organization allows you the flexibility of going to a specialist without the need for a referral from a primary care physician. HMO is cheaper than PPO insurance plans but does not give patients freedom of choice. PPO plans usually cost two to four times more than HMO plans. The difference between HMO and PPO Insurance is that HMO plans are comprehensively coordinated and you don’t have to submit claim forms while with a PPO plan you need to submit claims for services that are out of network. Your health insurance could be free, check with your local agencies to determine if you qualify for any government insurance such as Medicaid. Something else to remember is if you have a disabled adult dependent beyond the age of 26, they might still be covered under their parent’s insurance. Many insurers have provisions for the parents of children with disabled children, it varies from state to state, ask your Insurer if this an option. With the movement to live healthier lifestyles, alternative medicine has become a popular option. Alternative medicine includes services such as; acupuncture, chiropractic care, biofeedback, naturopaths and massage therapists. So when shopping and these are services you may want, make sure to check the fine print for coverage. Telemedicine is relatively new to the healthcare industry. If you are a millennial this feature might sound attractive to you because it offers flexibility and convenience. When using telemedicine you can visit your doctor via a phone call or video chat. When shopping for health insurance, makes sure you inquire if this is something covered under the policy. Many people confuse supplemental insurance with health insurance. Supplemental plans offer coverage for critical illness and long-term care but they are not a substitute for health insurance. When shopping for health insurance be careful to avoid this mistake. Consider catastrophic or high deductible plans. These plans have high deductibles but lower premiums than more traditional plans. This feature helps keep cost down for people who may want to keep more money in their pocket up front. In today’s marketplace, many health insurance plans have been uniquely designed to help consumers keep cost down. Some health insurance plans offer a basic plan and then a la carte type services. For instance, some insurers offer a basic plan with no maternity coverage for a lower amount than a policy with maternity coverage. Wellness Plans have been added to health insurance plans. Members are incentivized to stay healthy. If a person meets certain health benchmark as defined by the insurance company, members are rewarded with money, credits towards insurance premiums or credits towards specific items members can redeem for other things such as merchandise and movie tickets. Additional Services such as Mental Health Care, Experimental Treatments, Counseling, Home Health Care, Hospice and Drug and Alcohol are all limited in health care plans these days. Medical or health insurance helps you by covering expenses so that your sudden need for hospitalization or medical care does not burn a hole in your budget. You may wonder if paying high health insurance premiums is a drain on your budget. There are many health insurance coverage plans offered by different insurance companies and you can shop and find the plan with the best coverage at the most affordable premium rates for your individual needs. Qualifying for insurance is an important step toward getting an affordable health insurance plan. Qualifying for cheap insurance to cover your healthcare needs is easy if you are eligible for government healthcare plans under Medicare or Medicaid. You may prefer qualifying for cheap insurance to cover your healthcare needs by applying for a short-term health insurance plan rather than a comprehensive healthcare plan. The problem with a short-term healthcare plan is that the tax penalties that can be avoided under the Affordable Care Act when you take a comprehensive health insurance plan are not applicable to short-term health insurance plans. You can qualify for subsidized healthcare insurance plans only if you have a low income. You can also qualify for a low-cost health insurance plan if your employer subsidizes your health insurance. You need to be a full-time employee to get the benefit and it is not applicable to part-time employees. You may be eligible for low-cost health insurance if the employer of your spouse subsidizes the health insurance of the spouse of the employee. You may qualify for coverage under the healthcare plan of your parent if you are less than 26 years of age or if your parent has a job-based health insurance coverage plan. Before applying for insurance companies to ensure your health, you must shop among the many available health insurance plans. There are many online portals that have tools that help you apply for insurance companies that have the best plans for your specific needs. You will need to fill a form on the portal and the tool will give you a list of plans offered by insurance companies in your location that suit your requirements. Once you find the best medical insurance plan that gives you coverage for all your health needs and charges an affordable premium, you can start applying for insurance companies that give you a good insurance plan. You can apply online on the website of the insurance company or phone the insurance company or download the application from the website of the insurance company, print the application out fill it and mail it to the insurance company. You can also visit the representative of the insurance company or have the representative visit you and apply for your chosen plan in person after discussing the plan or other plans with the insurance company’s representative. 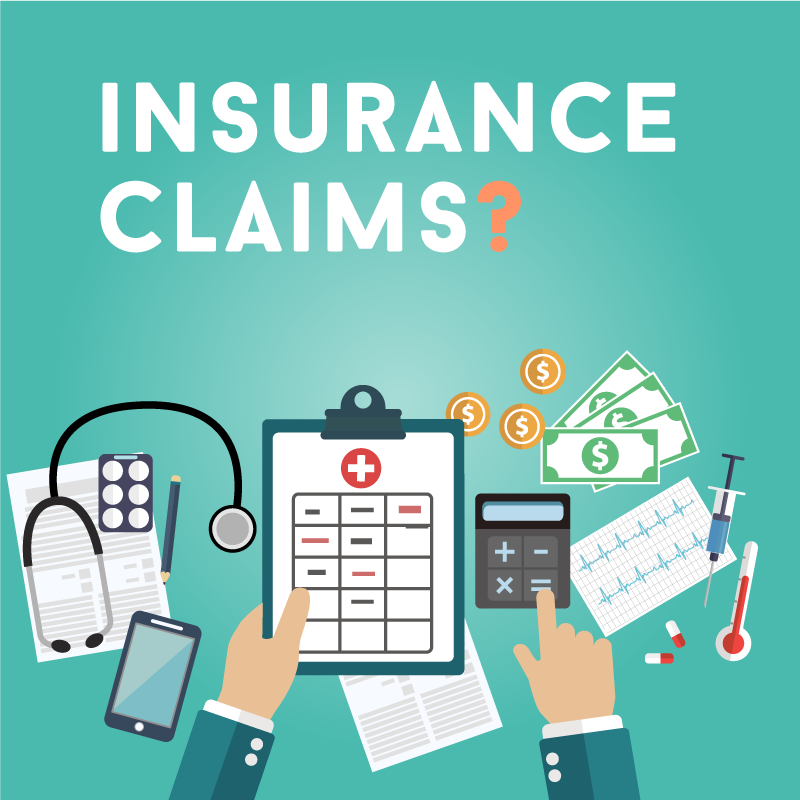 There are two ways for calling in claims to your insurance provider when you have a health issue that is covered under your health insurance plan. The first method of filing a claim by requesting your medical services provider, physician, specialist or hospital to send the claim directly to the health insurance company. The other method of calling in claims to your insurance provider is to send the claim yourself. You may have to file a claim yourself if the medical services provider is not one of the providers in the network of the insurance company. You can submit the claim online or visit a representative of the insurance company to help you file your claim. If you submit your claim online, the payment may be faster than a direct claim. Insurance companies give a time frame to make payments and you should contact them if the payment is not received within the time frame. Getting an affordable health insurance plan is important to help you get a coverage against unexpected healthcare costs and is an important and prudent low-cost investment that will give your long-term peace of mind. Created by health and insurance professionals, Gov Health Option provides a one-stop source for healthcare from insurance, Medicaid, Medicare, and options for children. Let Gov Health Option help you understand your health care options. Gov Health Option is a free online resource to provide deep insight into the latest government offered health options available to them in all 50 U.S. states. Created by health and insurance professionals, Gov Health Option provides a one-stop source for healthcare from insurance, Medicaid, Medicare, and options for children. Let Gov Health Option help you understand your health care options. Gov Health Option Copyright © 2019.